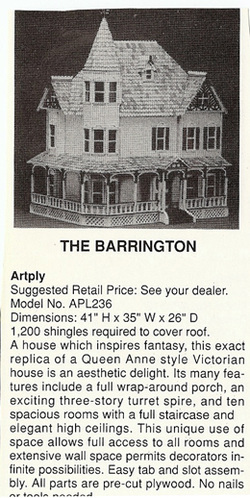 The Barrington, a Queen Ann style home, personifies Victorian design with its gingerbread trim and gables. 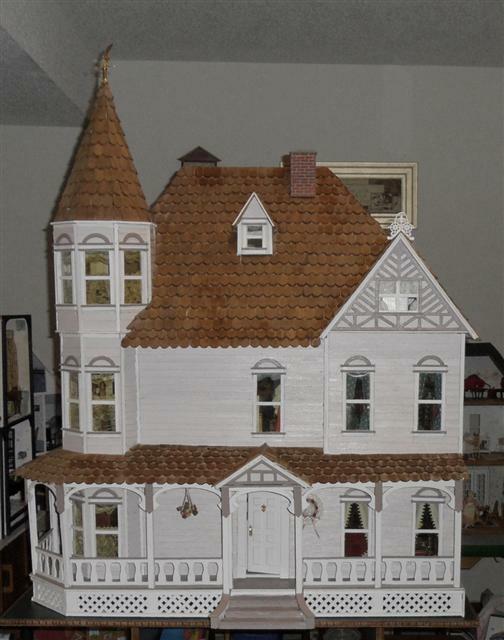 I built this house in 1991 from an Artply kit. 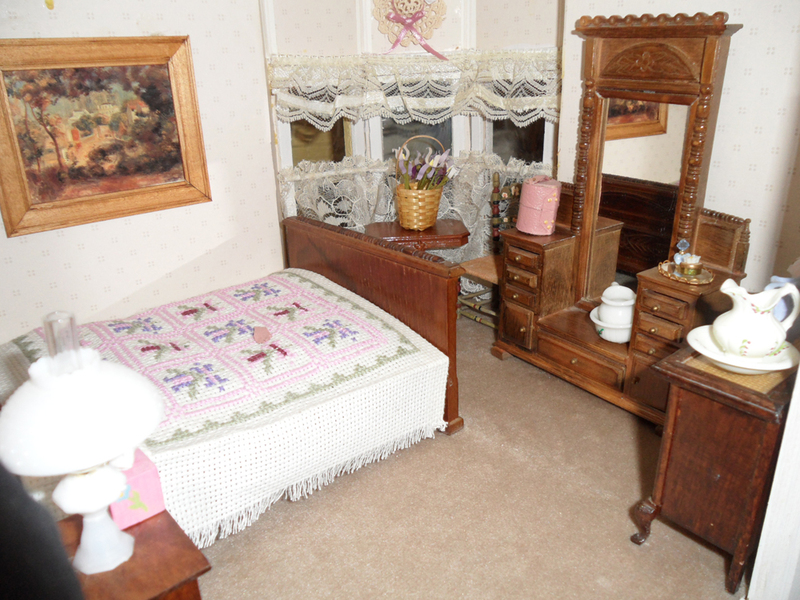 The Artply company created beautiful designs from wood that were better quality than the wood used by Greenleaf, a competing company. 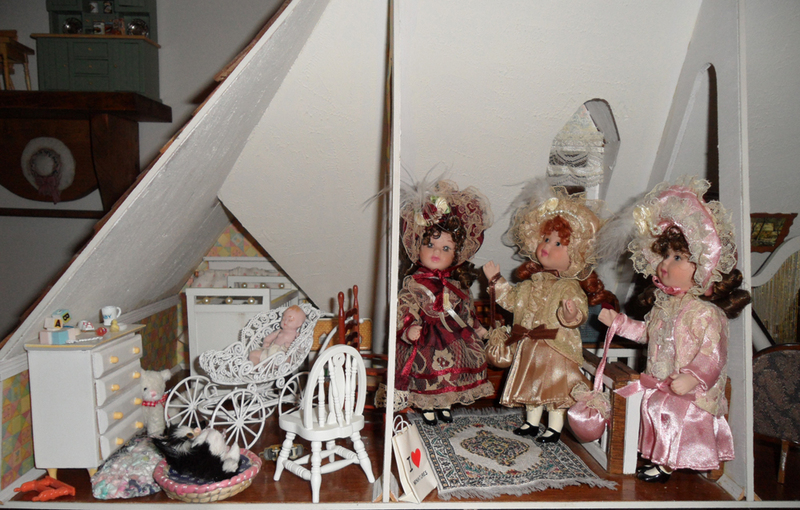 Today the Artply company no longer exists, but the Greenleaf company has survived. 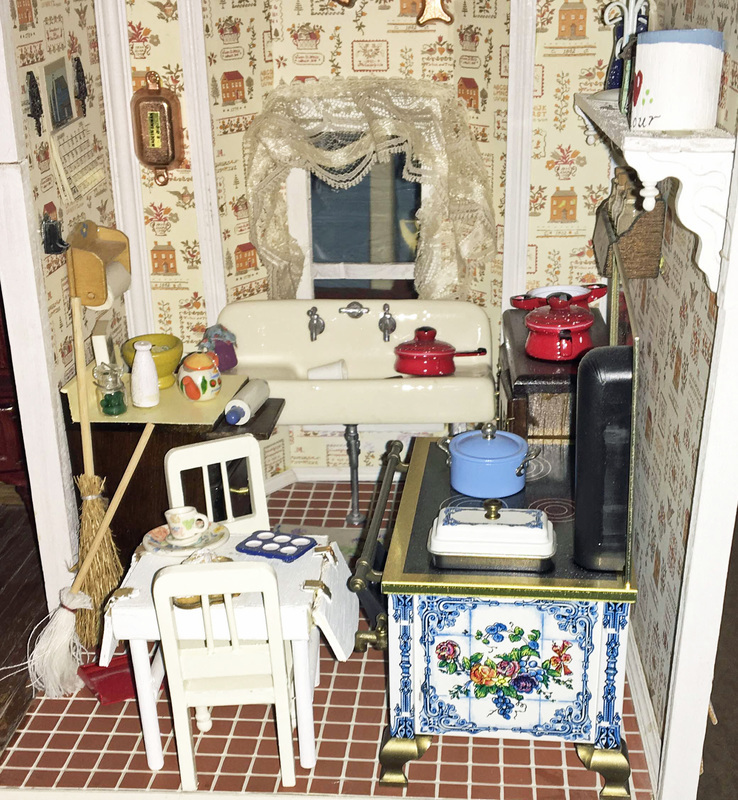 This house took six months to complete with very little kitbashing. 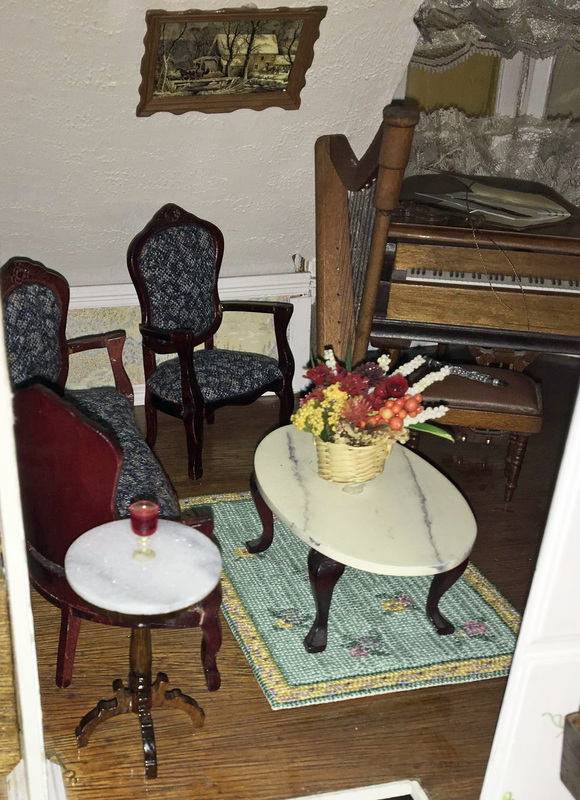 It contains 9 rooms. 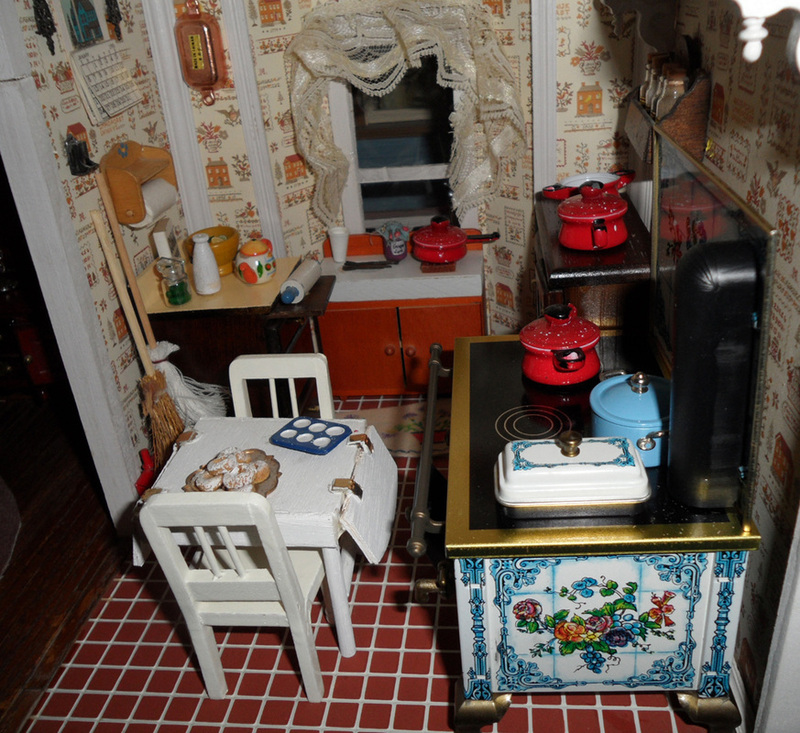 The kitchen and bath cannot be seen in this image as they are in the left corner of the house. 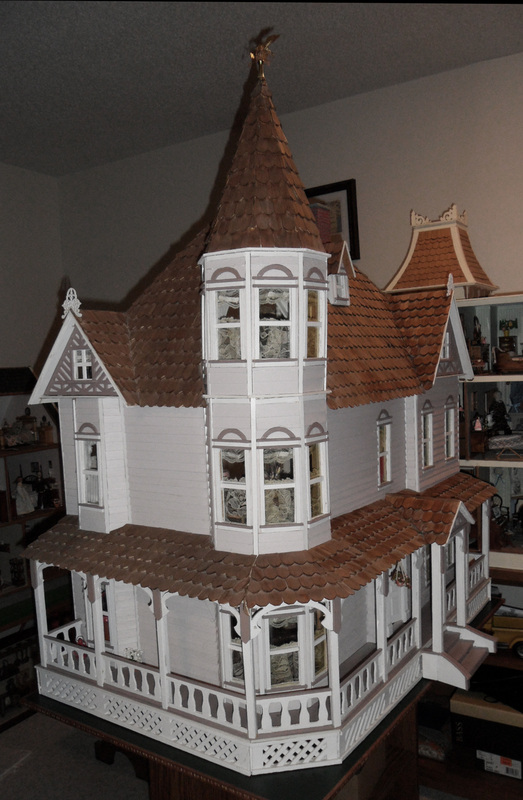 This is one of my favorite houses. 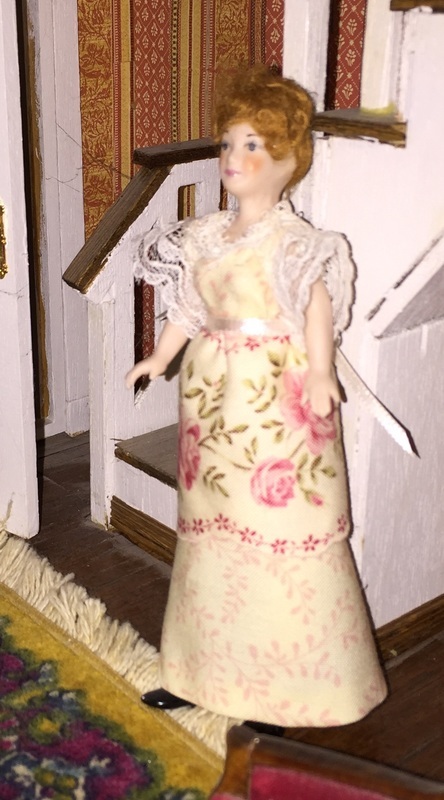 It is such a grand lady! 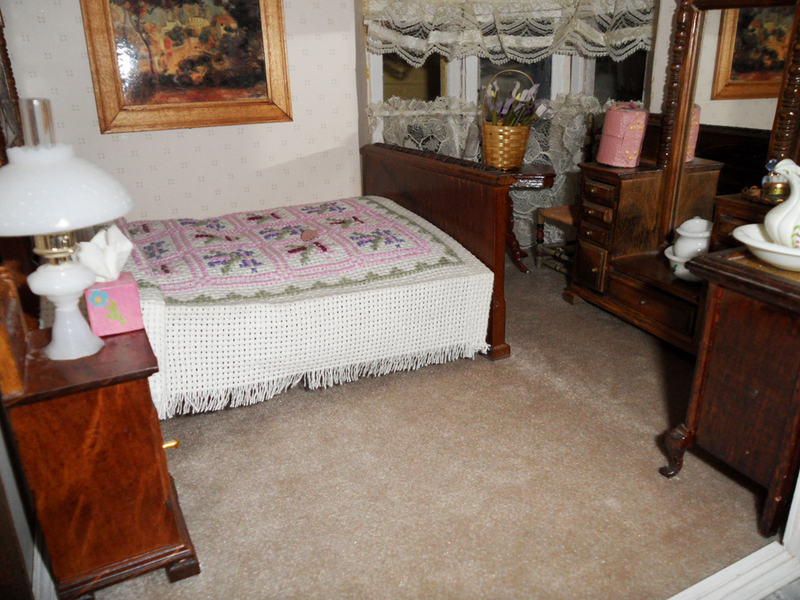 The Barrington has two bedrooms, one bath, a parlor, dining room, kitchen, an attic nursery, office and hobby room, which includes a music and sewing area. 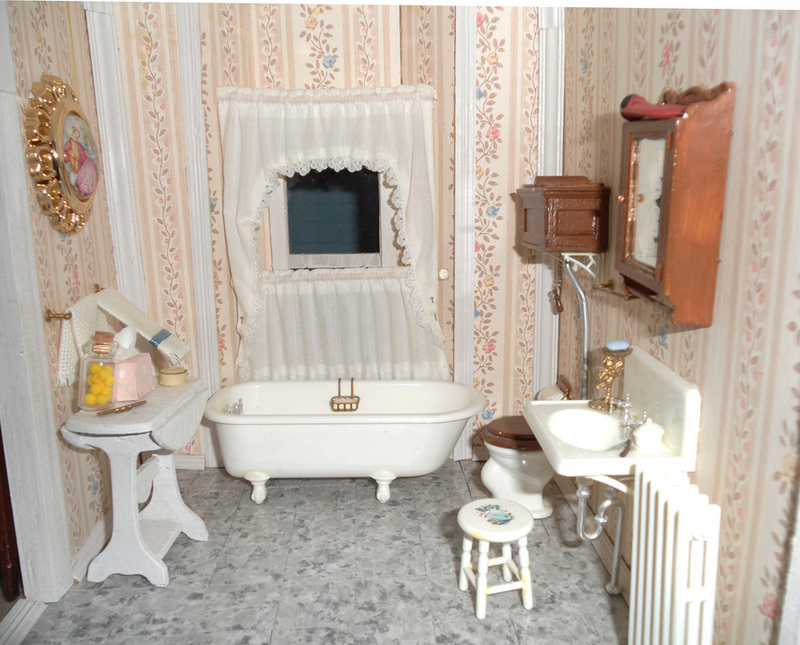 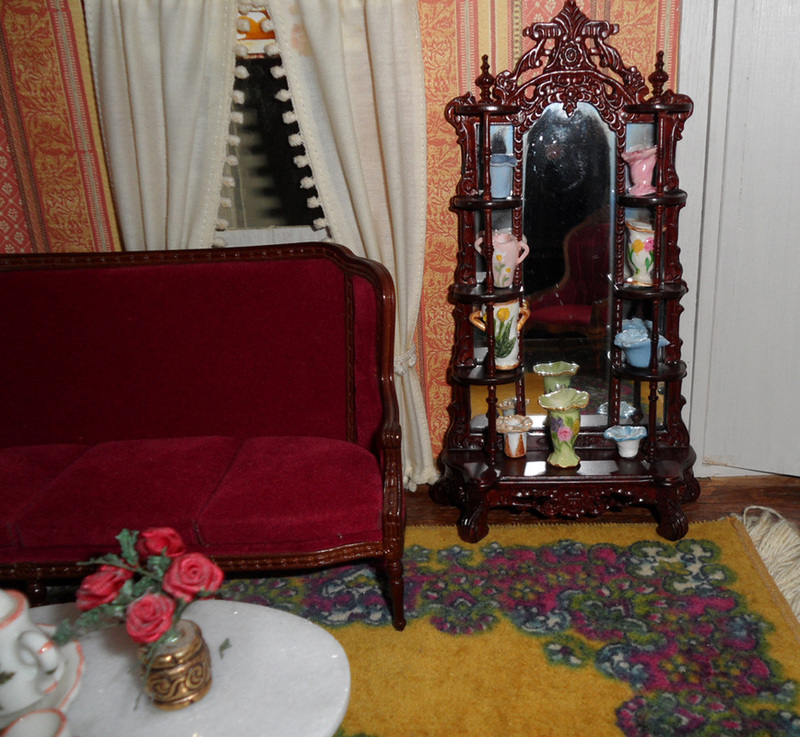 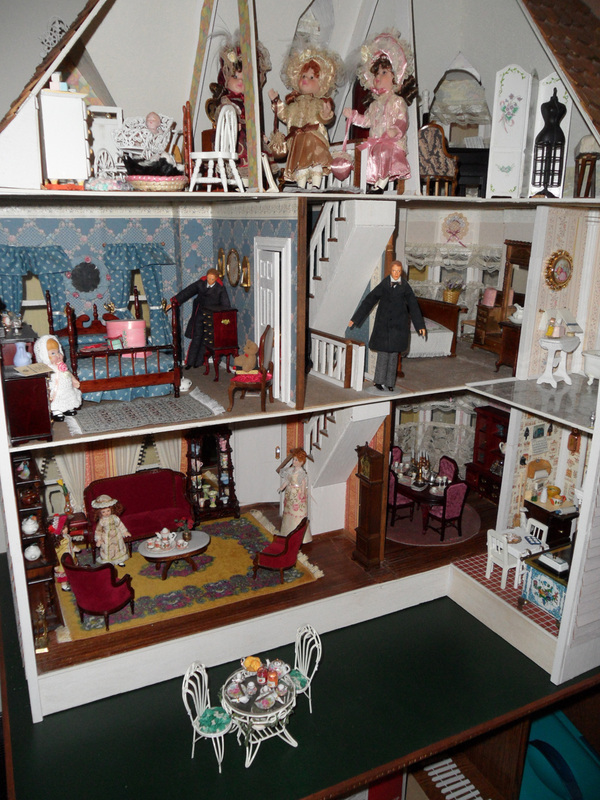 While most dollhouses have a back opening, the Barrington has a corner which gives the house a more three dimensional effect. 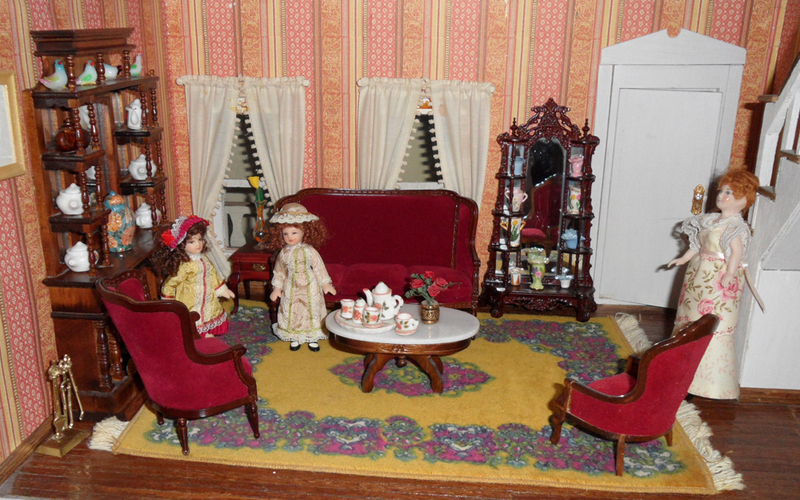 These little girls are a bit larger scale, but they just seem to fit this house. 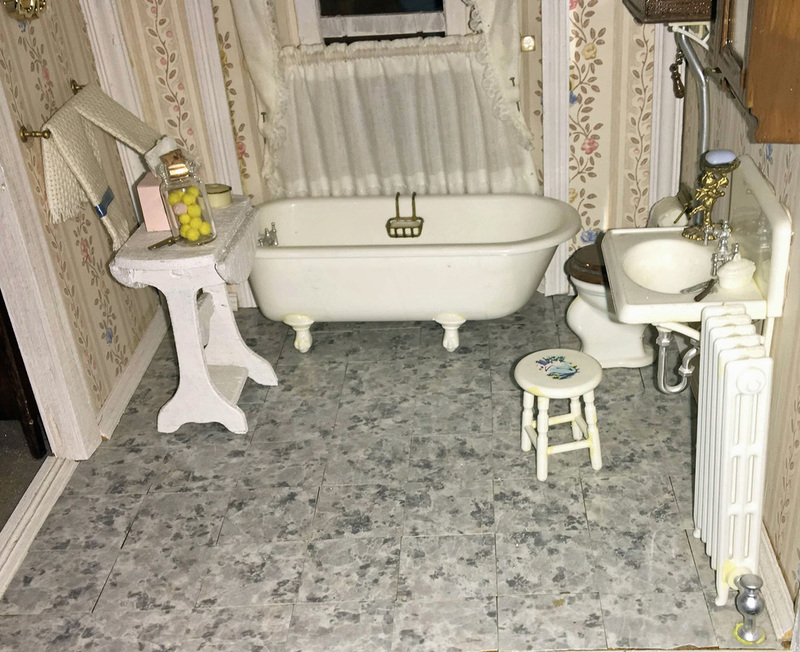 This bathroom is from a Chrysbon kit. 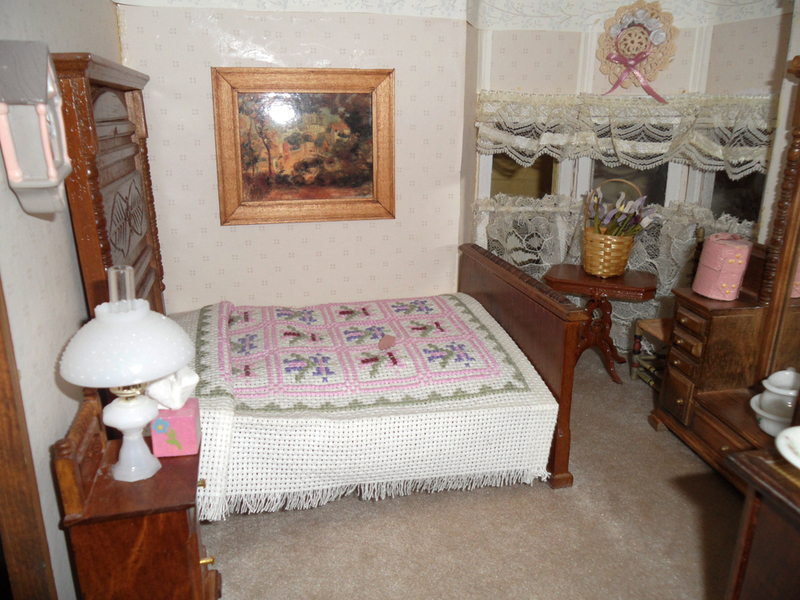 The cross-stitched bedspread matches the quilled flowers in the window. 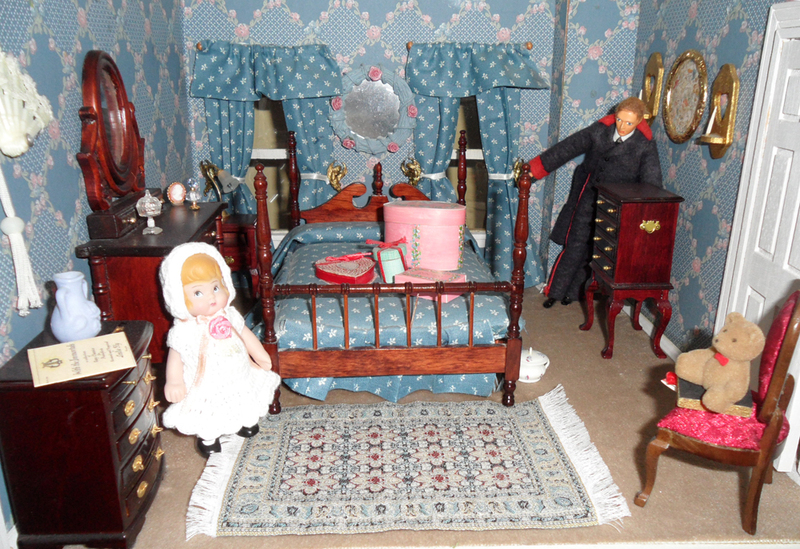 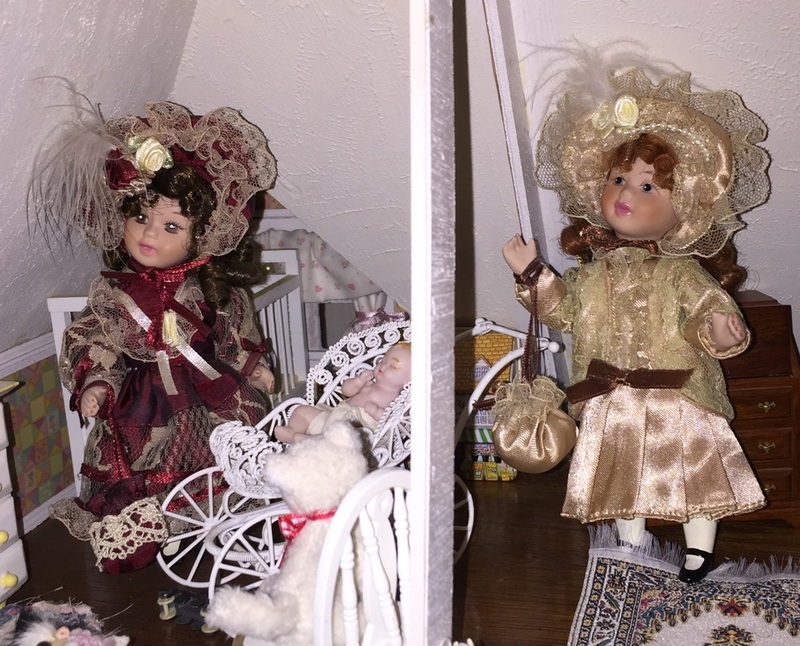 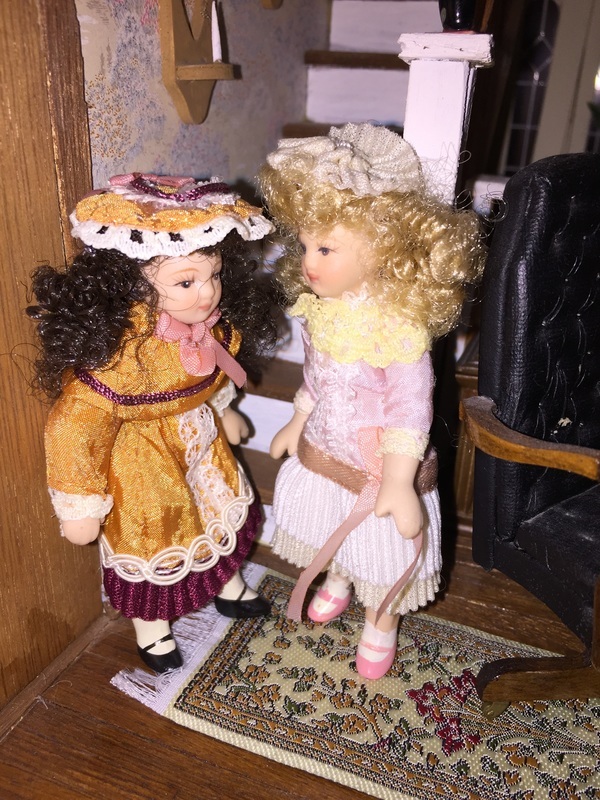 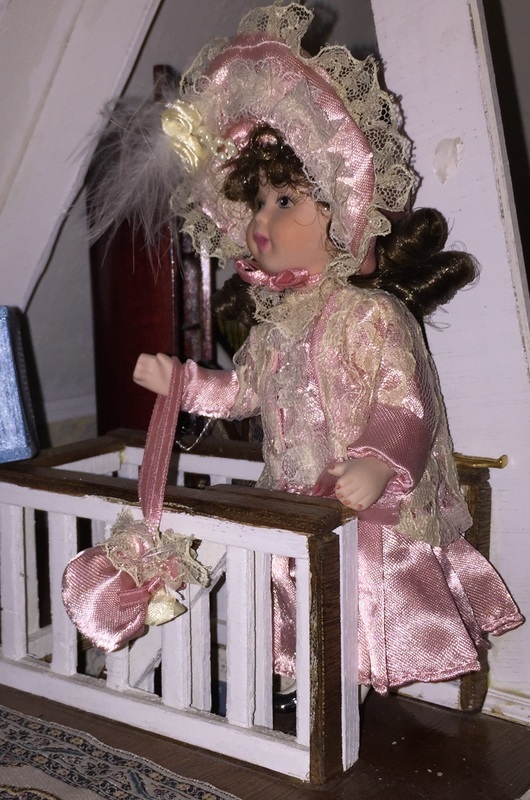 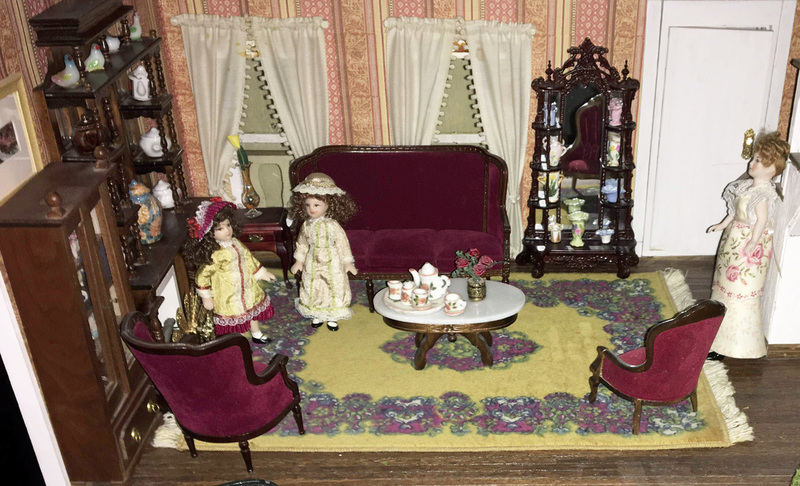 The little girl is Caco, while the other dolls are by Peggy Nisbett. 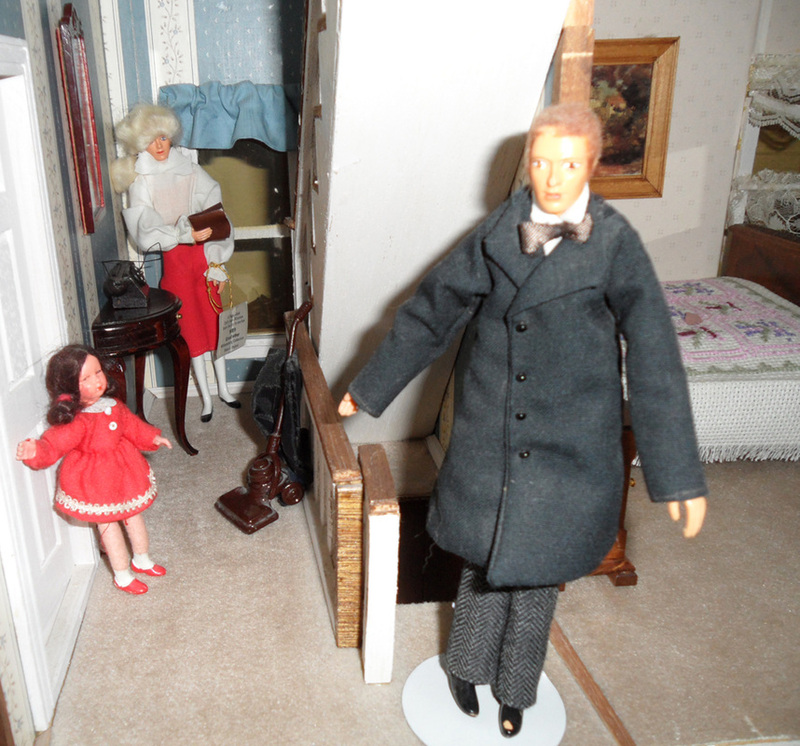 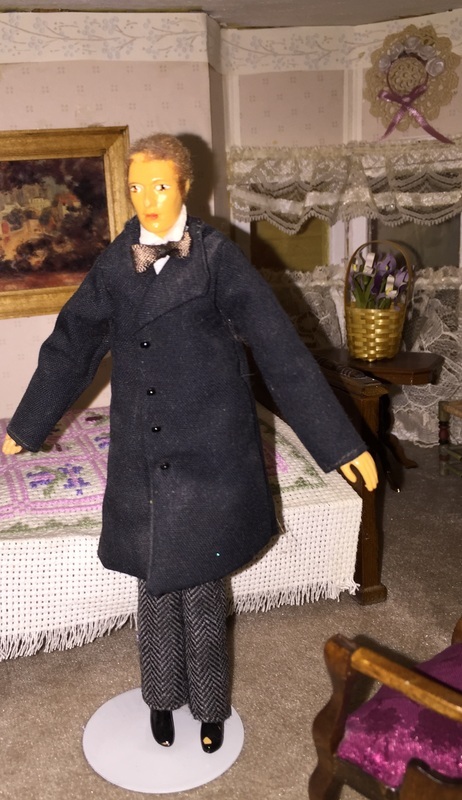 The male doll is by Peggy Nisbett. 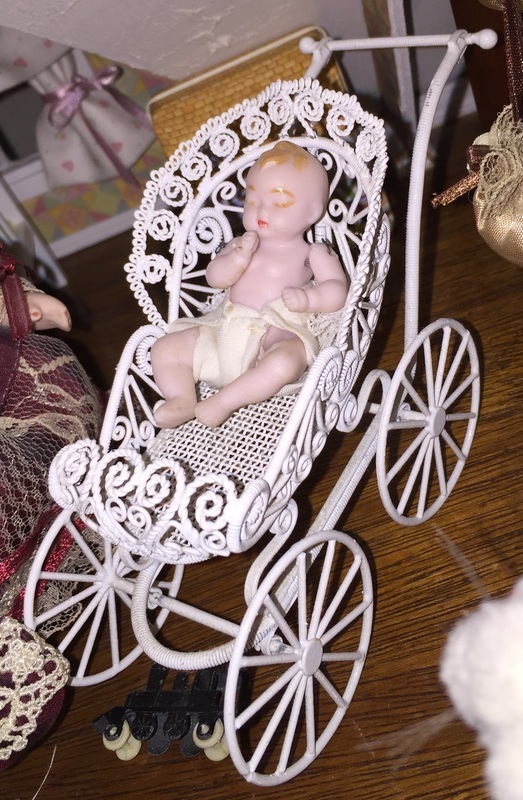 I made the pottery from Sculpty clay. 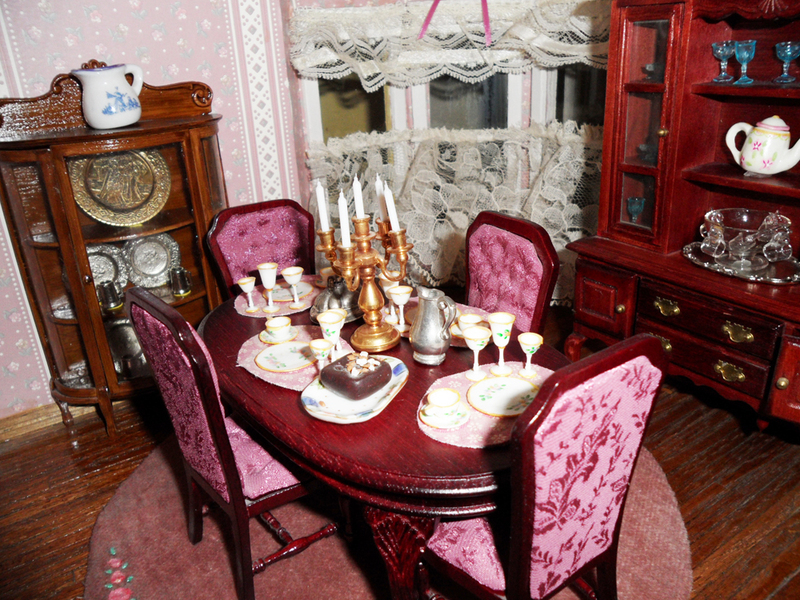 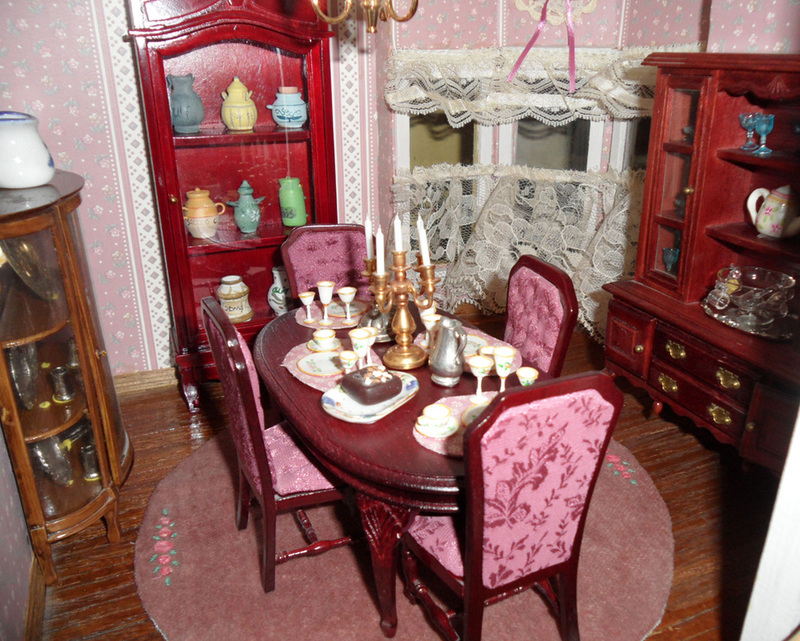 The dining room table and chairs are by Concord.